As fall returns and temperatures cool, the flu bug will make its vengeful return. And if Australia is any indication – they’re dealing with two and a half times more cases this year compared to last – we have the makings of a long winter here in the United States. 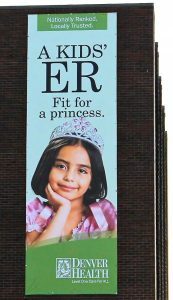 That’s why it’s imperative for all health care companies, such as drug stores, private practices, and medical centers, to entrust SpeedPro Imaging, the nation’s leader in large format imagery, with their marketing needs as health care issues take center stage. 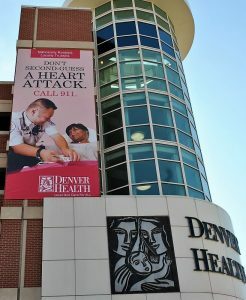 Darin Schneider of SpeedPro Imaging Denver has abundant experience transforming dreary and neutral medical facilities into vibrant pieces of art. 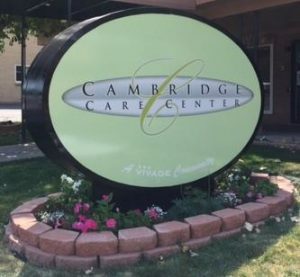 Take a look at some of the imaginative work Darin has done both inside and outside for his cherished partners – including Kaiser Permanente, Denver Health and skilled nursing communities in the Mile-High City. Health care is on top of many minds across the country. The fourth quarter of the year is prime-time for the medical industry and those associated with it. We here at SpeedPro Imaging want to help you position your practice, medical facility, and retail outlet as the authoritative resource for your customers’ medical needs. For starters, these upcoming months include open enrollment period for health insurance. Millions across America are trying to determine the coverage that best fits their families’ needs. You can cement your brand as the go-to resource for answers to their questions. Conversely, the end of the year marks the need to deplete flexible spending accounts. Many individuals and businesses are starting to calculate how much money they’re going to have left over and where they’re going to spend it. 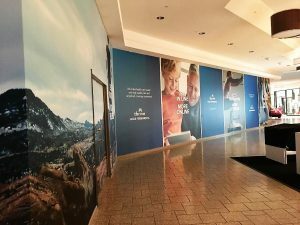 SpeedPro Imaging, the nation’s leader in large format imagery, recognizes these are great opportunities for those of you who are specialists, such as those who operate eye care centers or retail stores that sell eligible products. Which brings us to the flu. No longer is it a certainty that patients will rely on their primary care physician to disseminate the vaccine. For businesses, the flu is extremely profitable. The flu vaccine industry is a $1.6 billion business. The Centers for Disease Control and Prevention (CDC) says nearly 60 percent of American children and 42 percent of American adults received the flu vaccination in 2015-2016. Was your business among the places patients headed to receive their immunization? 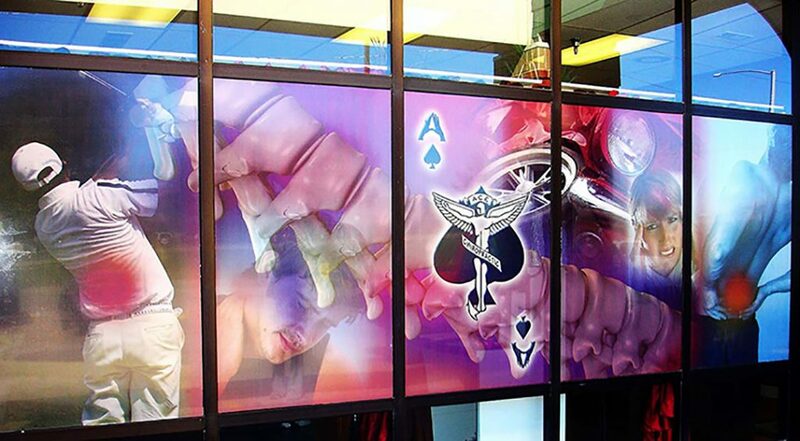 Window Graphics: Your windows may be the first opportunity to make an impression with your customers. Make it count with a bold graphics display. Transform your simple and plain windows into a powerful marketing tool. We can arrange large impact graphics that cover the entire window or smaller scale graphics that provide vital information. Flags: Look no further if you’re searching for a noticeable and creative way to market your practice. Highly visible and versatile, flags can convey your central message both inside and outsided. The shape of the flag – teardrop, feather, flutter – is restricted only by your imagination. 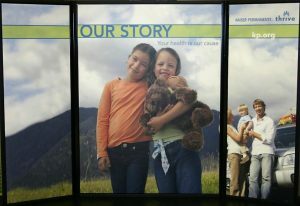 Outdoor Signage: We can print picture frame, “A” frame, coroplast or fabric sidewalk signs with your main message. 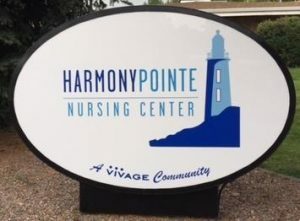 Durable and stunning, wherever you’d like to be seen outside, we can customize a signage solution that fits you, your message and your space. Retractors: These signs are sharp and stand tall as they communicate the message to customers to be proactive about their health. These are lightweight and customizable. You could use retractors as a background as your clients get the word out about the importance of #flushots on various social media platforms. We have serious solutions to help you market yourself as the responsible and dependable resource for health care related demands – not only this flu season, but all year long. Health can be unpredictable. Let SpeedPro Imaging assist in your efforts to take some of the unpredictability out of your bottom line. Contact SpeedPro Imaging consultant to get started at speedpro.com.